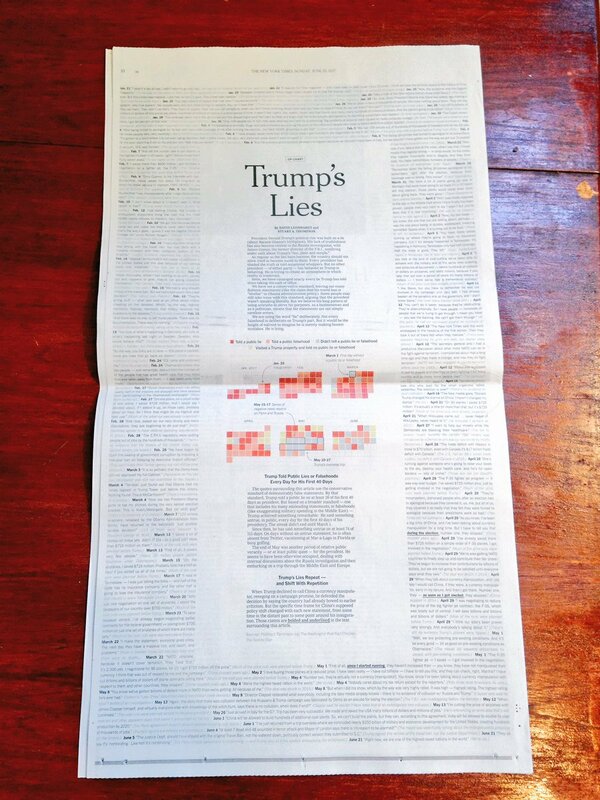 When was the last time a US president’s lies filled an entire page of the New York Times? When has there been a time in our nation’s history when so many ignored the lies to continue supporting such a real loser? The growing shame of our country is not the ignorance, greed and total immorality of #BLOTUS. The true shame of our nation is the willing acceptance and continued support of such a man by all those who do not care about the reality of what he is and what he grabbing. This entry was posted in Facts & Statistics, News & Views and tagged BLOTUS, facts, grabbing, greed, history, ignorance, immorality, lies, lying, NY TIMES, real loser, reality, shame, support, truth, willing acceptance on June 27, 2017 by Ray Buchanan.